Swimming against the current of iron deficiency anemia. We’ve always admired the work of fellow B Corp Lucky Iron Fish, and were honoured to help them put a fish in every pot this holiday season. Lucky Iron Fish is a fellow BCorp that is disrupting how the world approaches micronutrient deficiency ­­– specifically iron deficiency anemia – an epidemic that affects 3.5 billion people in the developed and developing world. 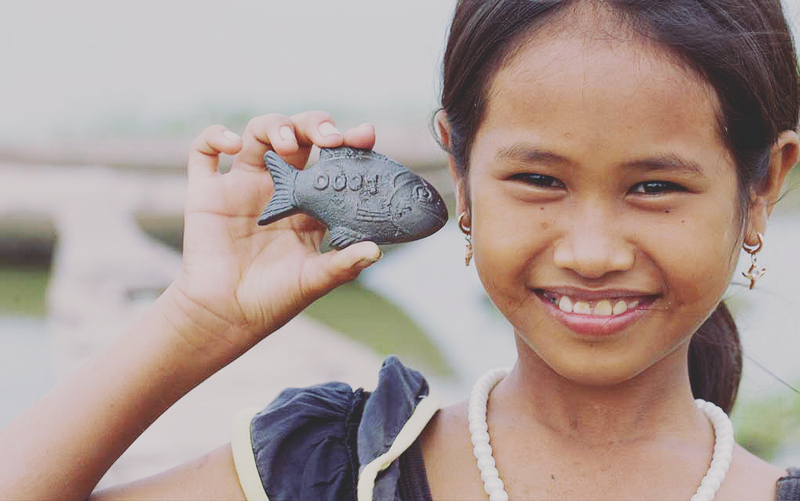 We first heard about Lucky Iron Fish when the social enterprise was on the ground in Cambodia. A diet of fish and rice made Cambodians more susceptible to low iron levels. We were impressed that after just 9 months of cooking with the Lucky Iron Fish every day, the incidence of clinical iron deficiency anemia decreased by 50%. And we weren’t the only ones. For its work, Lucky Iron Fish has been recognized by the Clinton Global Initiative, won the Cannes Grand Prix for Design and was voted “1 of 5 innovations that will change the world” by Maclean’s magazine.